My mom is an AWESOME quilter and got me a little hooked on it back here. Ben was out of town this week so I took the opportunity to drive up to Idaho to visit my parents and get a little sewing done. And by "a little sewing" I mean A LOT. It took a whole week of constant cutting, sewing, pressing, binding, and quilting by TWO people to get it all done. My mom did all the hard stuff, like making sure everything lined up, the actual quilting and the binding. I just did the grunt work of cutting and sewing together tiny pieces. I have grown to love quilting. I wouldn't say I'm a "seamstress;" dresses and patterns don't really appeal to me. My husband would be the first one to tell you I don't have enough attention to detail or patience for something complicated (although I would like to try making a dress sometime). What I LOVE about quilting is seeing it all come together. You make something from nothing. 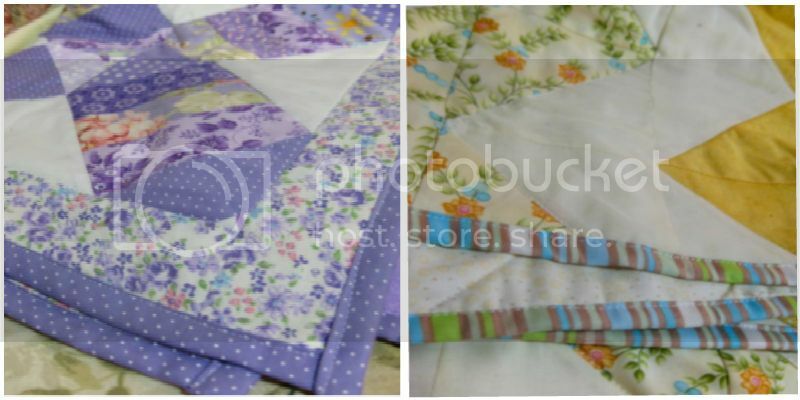 You take these tiny little pieces (in one quilt it was just scraps) and sew them together, one piece to one piece. Eventually you have a block and you sew it to another block and a pattern emerges and you see something beautiful. It really is exhilarating to create things. And when you are constantly trying different patterns, it never gets old. 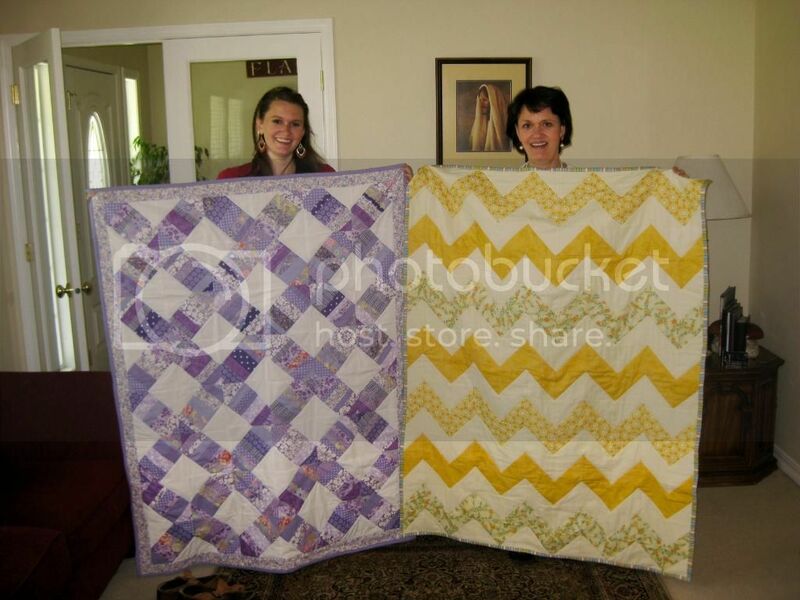 The point of the two quilts is that there is one for each of my girls. 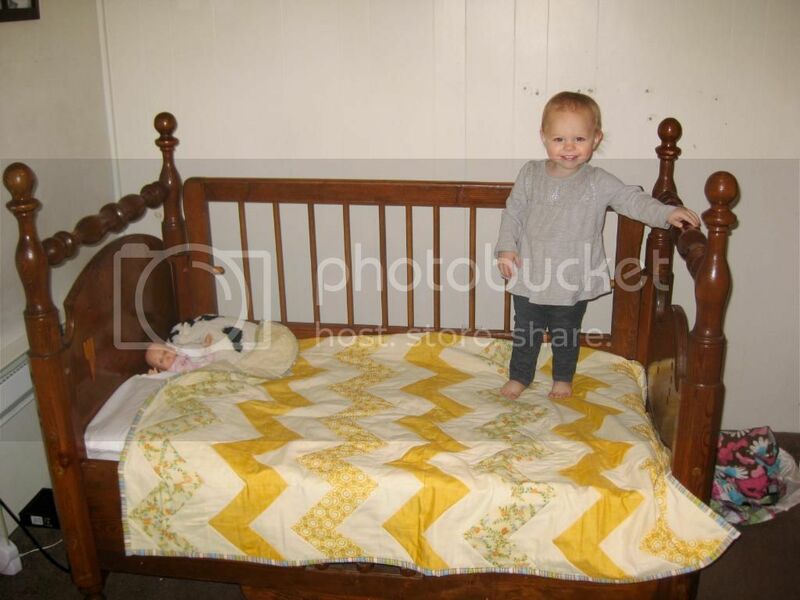 Cheyenne has grown out of her baby quilt, so we made one big enough for a toddler bed. You can tell she already loves it. The purple quilt is for the new baby girl. She loves hers too! Thanks to the wonders of the internet we followed two patterns that are totally free. 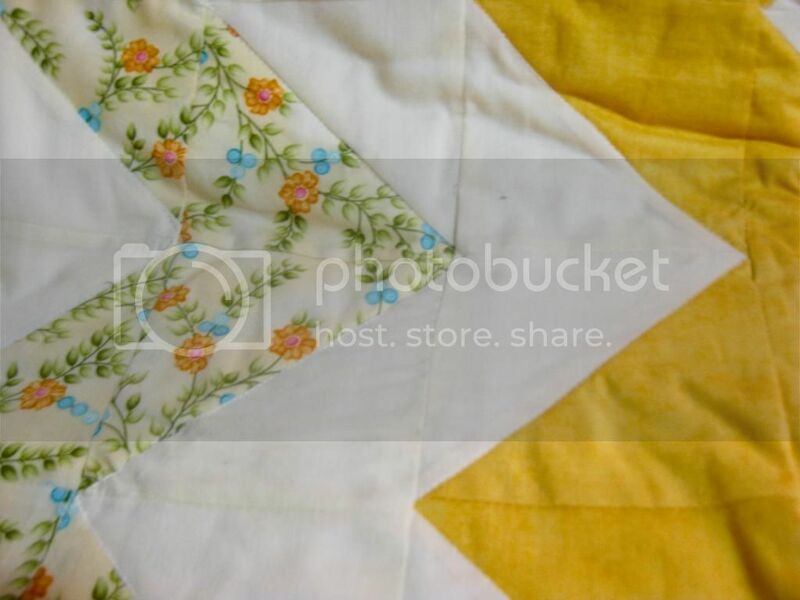 The yellow chevron tutorial can be found here if you are interested. Thanks Mom for an awesome week!! Oh I absolutely LOVE the yellow chevron one...they both look awesome! I just want to let you know that your family is constantly inspiring us...Cory loves serving with your dad and I love checking your blog and seeing what a great little family you guys are! Keep it up!!! 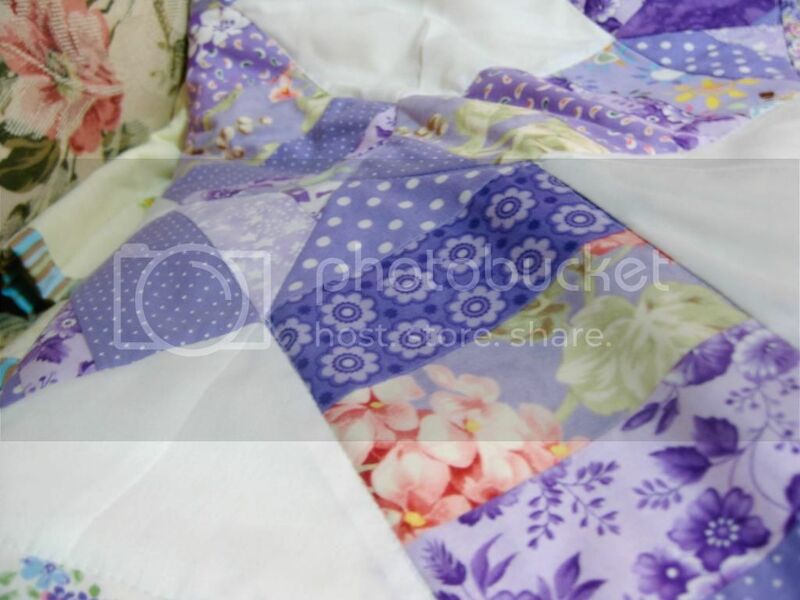 I have this deep desire to quilt and be a quilter but have done 0% quilting in the last five years. 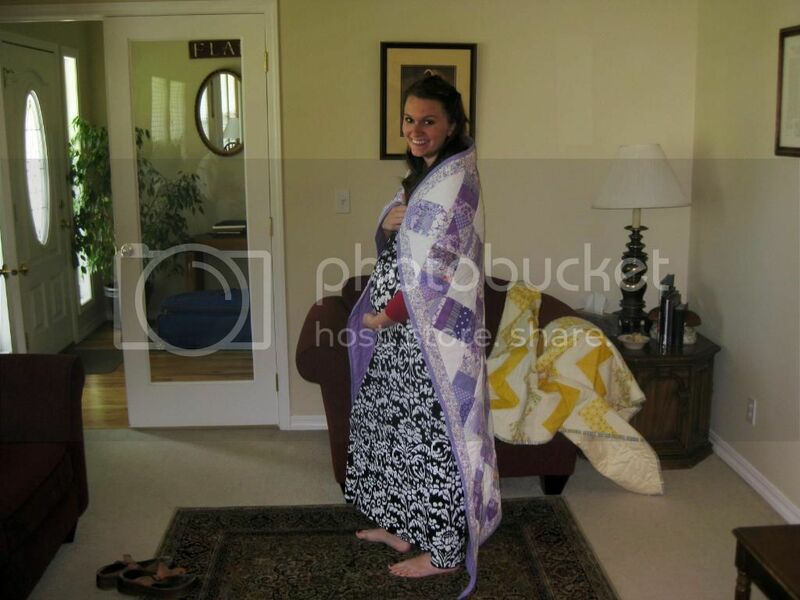 I will own a sewing machine one day and then I will quilt and I will come back to this blog and use those patterns! thanks for sharing!